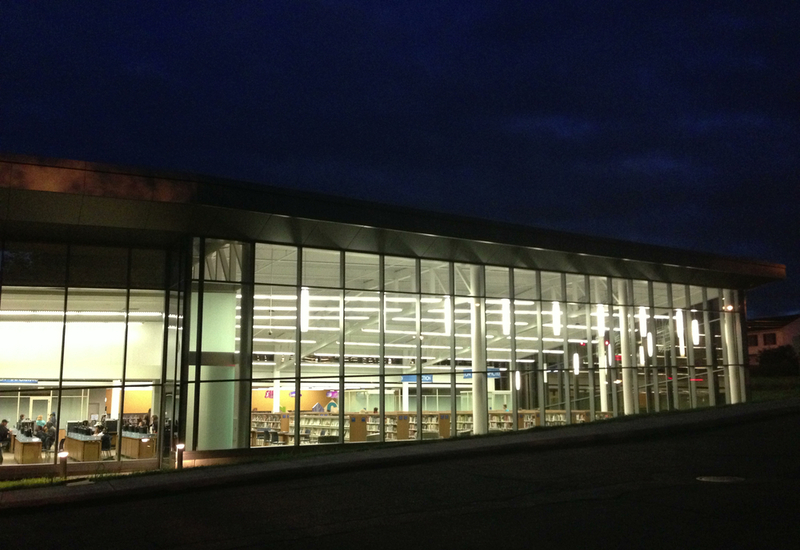 Cuyahoga County Public Library Garfield Hts. Branch — Tec Studio Inc. 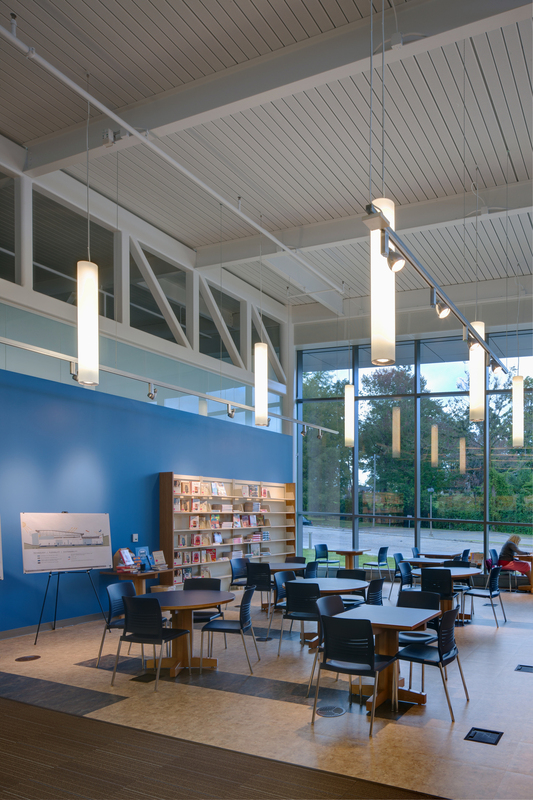 The lighting design for the Garfield Heights Library Branch required thoughtful consideration to maintain their LEED goals, remain budget conscious, and still provide a high level of design to meet the architectural concept for the space. The open architecture of the space benefits by having all fixtures incorporate an individual digital address for lighting control. The nature of this type of control systemallows for future changes to the open space planning, with only the need for simple re-programming. 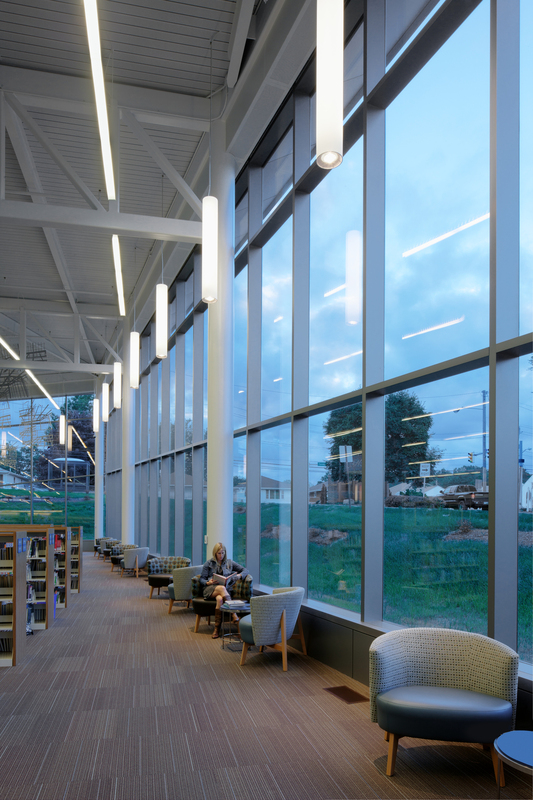 The digitally addressable controls also provide superior performance for the daylight harvesting system by allowing a more individual response from each luminaire to the daylight sensors scattered throughout the space. 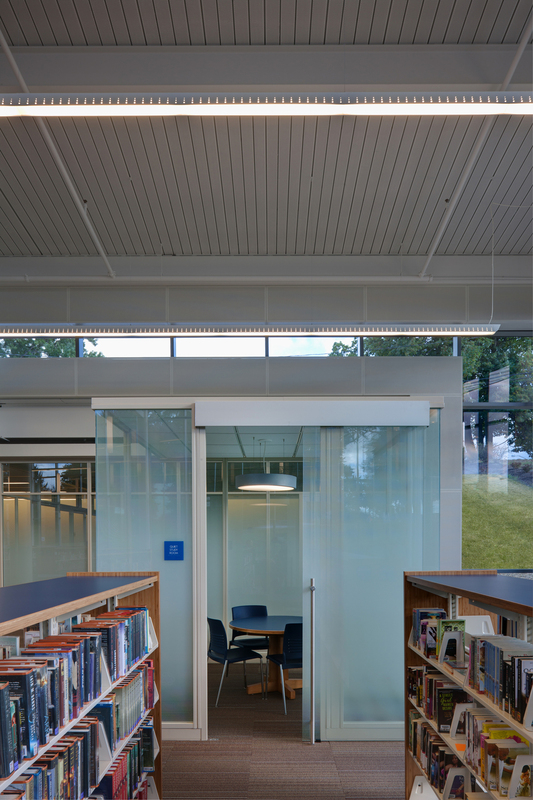 The majority of the luminaires are fluorescent and will provide a very long lamp life with low maintenance effort and expense for the facility. The lighting power density for the project is 16% below ASHRAE/IES 90.1 requirements. 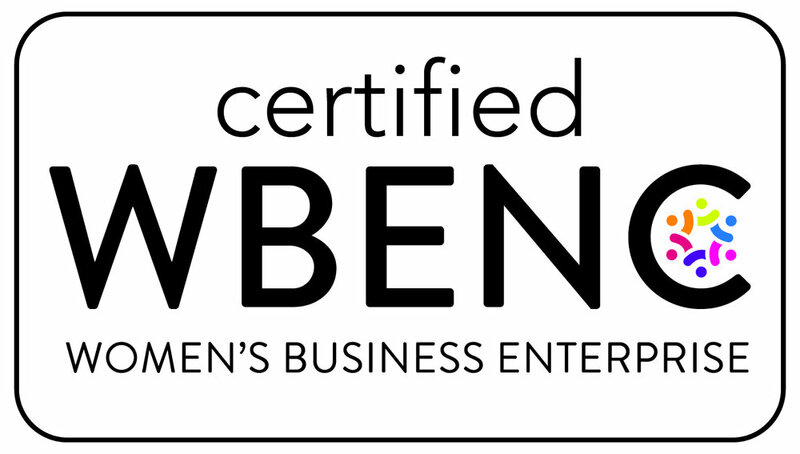 In addition this project has submitted an innovation credit following the LEED credit MRC4 for Sustainable Purchasing: Reduced Mercury in Lamps through the use of T5 lamps, rather than T8.